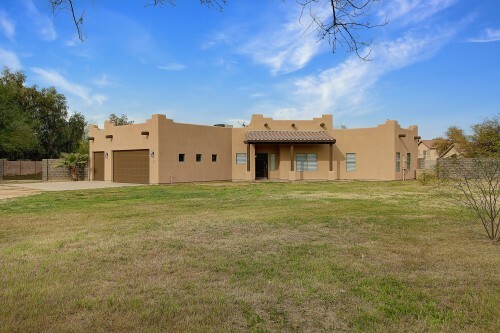 5 Bedroom 3.5 Bathroom Home For Sale In Goodyear - Grand family home in Cottonflower! This 5 bed/3.5 bath home boasts an open floor plan, ample natural light, neutral colors, kitchen island, and a loft. The property features lush, low-maintenance landscaping, with a covered patio to enjoy the Arizona evenings. Just across the street lies a green belt the size of a football field. All this in a quiet Goodyear community. Welcome home! 3 Bedroom Home For Sale In Central Phoenix - Spectacular single-level home in Central Phoenix. This 3 bed/1.75 bath home features vaulted ceilings, ample natural light, striking tile in all the right places, and new stainless steel appliances. The property boasts a 2 car detached garage, mature landscaping, and plenty of room to roam. All this in a quiet central Phoenix neighborhood, near great schools and parks, Downtown Phoenix, the 202, and the 51. Welcome home! 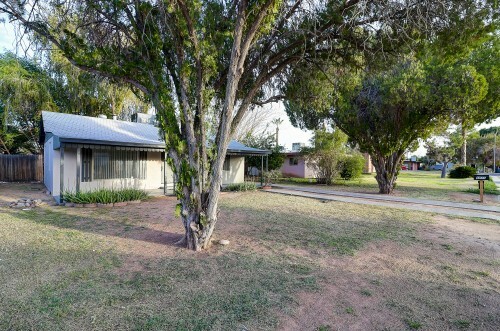 2 Bedroom Phoenix House With Guest House For Sale - Historic 828 sq ft home with a 557 sq ft back house in a fantastic Central Phoenix neighborhood! 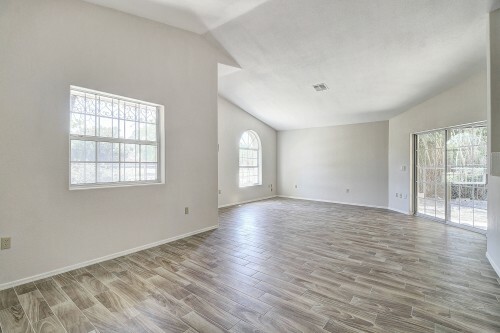 The 2 bed/1 bath main house features ample natural light, low-maintenance flooring throughout, and neutral colors. The renovated kitchen boasts exquisite cabinetry, new countertops, and new stainless steel appliances. The 1 bed/1 bath back house is ready for guests or tenants to start generating extra income. 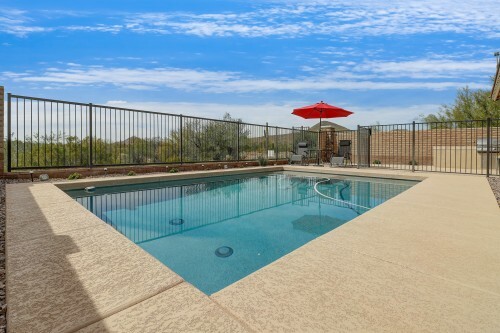 The property is conveniently located in Central Phoenix, near the Camelback Corridor, the 51, Downtown Phoenix, and an endless supply of excellent restaurants, shopping, and night life. Perfect for both investors and owner-occupants wanting to supplement their income. Welcome home! New 3 Bedroom Home For Sale Near Downtown Phoenix - Brand new home near Downtown Phoenix! This 3 bed/1.75 bath single-level home features an open floor plan, high ceilings, neutral colors, and ample natural light. The kitchen boasts elegant countertops, exquisite cabinetry, and new stainless steel appliances. 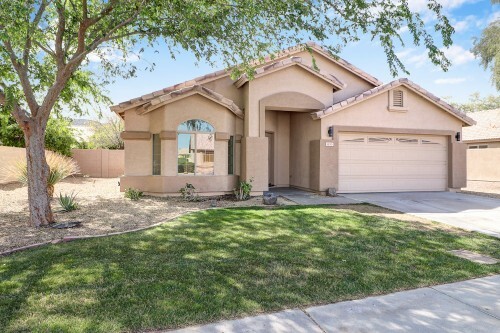 The home is conveniently located in a fantastic Central Phoenix neighborhood, near great schools, parks, and the I-10 and I-17. Welcome home! 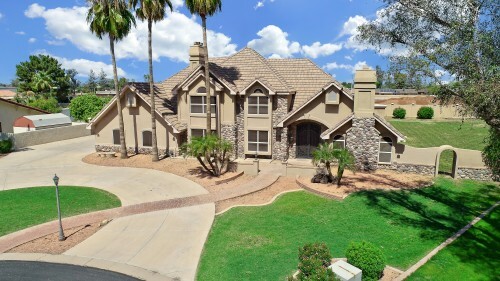 4 Bedroom Single Level Home For Sale In Phoenix - Stunning single-level home near South Mountain! 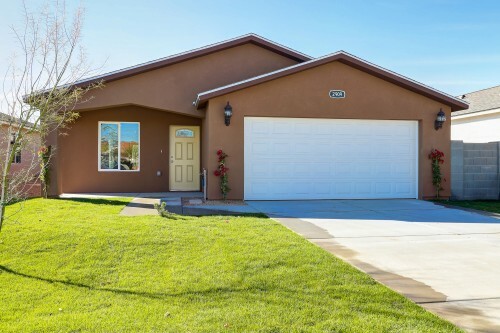 This 4 bed/2 bath split floor plan home features vaulted ceilings, lots of natural light, neutral colors, striking tile in all the right places, and new carpet in the bedrooms. The kitchen boasts new stainless steel appliances, ample cabinetry, and an island. 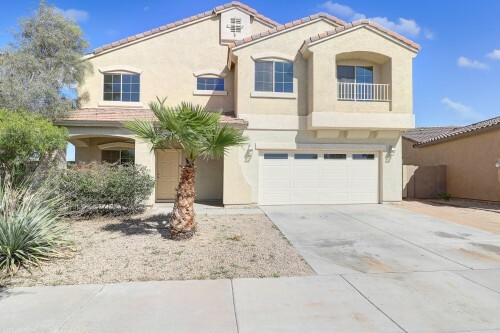 The home is located in a quiet neighborhood near South Mountain, close to great schools and parks. Welcome home! 3 Bedroom View Lot Home For Sale In Vistancia - Pristine Vistancia view lot home that backs to breathtaking desert and mountain views! This newer build 3 bed/3 bath stunner features high ceilings, ample natural light, stylish neutral colors, and surround sound system. The kitchen boasts premium stainless steel appliances, granite countertops, exquisite cabinetry, and immense kitchen island. The master suite includes a full bathroom with double sinks, separate tub/shower, and expansive walk-in closet. The second master bedroom has an en suite bathroom, perfect for in-laws and guests. Enjoy high energy efficiency and low utility bills with solar. Out back, cook on the built-in gas BBQ and stay cool in the sparkling pool. The home is located at the end of a quiet cul-de-sac. It backs to state land, for endless scenic views. Welcome home! 4 Bedroom Scottsdale Home For Sale With Pool - Absolutely stunning 4 bed/2.75 bath home in Central Scottsdale! This bright and open luxury home features soaring ceilings, ample natural light, tasteful color scheme, exquisite fixtures, and an elegant stacked stone fireplace. The open kitchen boasts chic marble countertops, new stainless steel appliances, two kitchen islands, and a huge walk-in pantry. The master suite features an upscale bathroom with stacked stone shower, double sinks, and private entrance to the backyard, which includes a sparkling pool and spacious covered patio. The home is located in Jason Manor, a prestigious Central Scottsdale neighborhood, and is walking distance to excellent restaurants and shopping. The property is also convenient to Old Town Scottsdale, the Shea Corridor, and the 101. Welcome home! Brand New Phoenix Home For Sale On South Mountain - Brand new home on South Mountain with stunning city views! This palatial single-level 4 bed/3.5 bath home features an open floor plan with ample natural light and high ceilings. 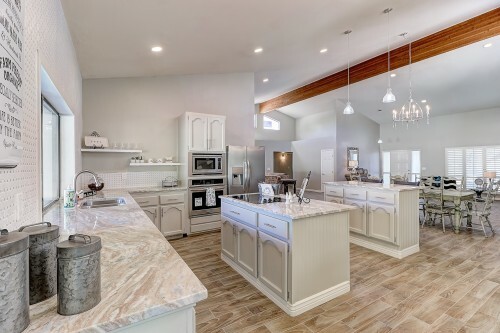 The luxury kitchen boasts top-of-the-line stainless steel appliances, including a Sub Zero refrigerator, along with a large kitchen island and walk-in pantry. The master suite opens to picturesque mountain scenery right from your window, and the master bathroom boasts double sinks, separate tub/shower, and immense walk-in closet. The second bedroom features its own en suite bathroom, perfect for guests. 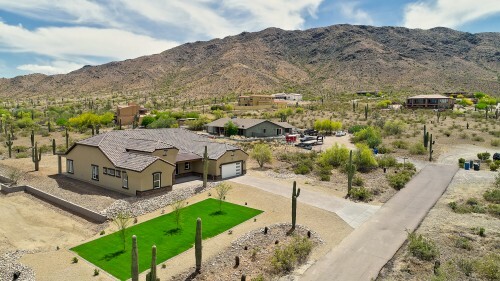 The home is tucked away on over 1 acre of land in a quiet neighborhood on South Mountain, with panoramic city and mountain views. Custom 3 Bedroom Phoenix Home For Sale On Acre Lot - Absolutely stunning custom home on a 1.11 acre lot! This 3 bed/2.5 bath home features an open floor plan, exquisite stone flooring throughout, neutral colors, high ceilings, and lots of natural light. The open kitchen boasts granite countertops, an island, and new stainless steel appliances. The master suite features a bathroom with double sinks and separate tub/shower, along with a large walk-in closet. The home is tucked away on over an acre of land, on a quiet street surrounded by other luxury custom homes. Welcome home! Luxury 6 Bedroom Gilbert Home For Sale On Huge Lot - Absolutely stunning Tudor Style home with a basement on an oversized lot in Circle G Ranches! The custom stone work provides a luxurious introduction. Inside, you'll find vaulted ceilings, ample natural light, exquisite travertine flooring, and a tri-level fireplace. There is plenty of room for the entire family and guests, with 6 bedrooms, 5 bathrooms, gourmet kitchen, formal dining, bonus room, and a full finished basement with over 800 sq ft of additional space not included in the assessor's records. The vast backyard features an expansive covered patio with built-in BBQ, along with room for a pool, tennis court, or anything you can dream. All this in a quiet well-established Gilbert neighborhood, near great schools and parks, Downtown Gilbert, and the 60. Welcome home!